Step through a sample scenario that demonstrates how to troubleshoot 5xx issues with your APIs. Note: While this example demonstrates how to troubleshoot 5xx issues, you can use this same process to troubleshoot any type of issue. 1 Monitor recent API traffic View the recent API monitoring data for all API proxies and targets that have had traffic in the last hour. 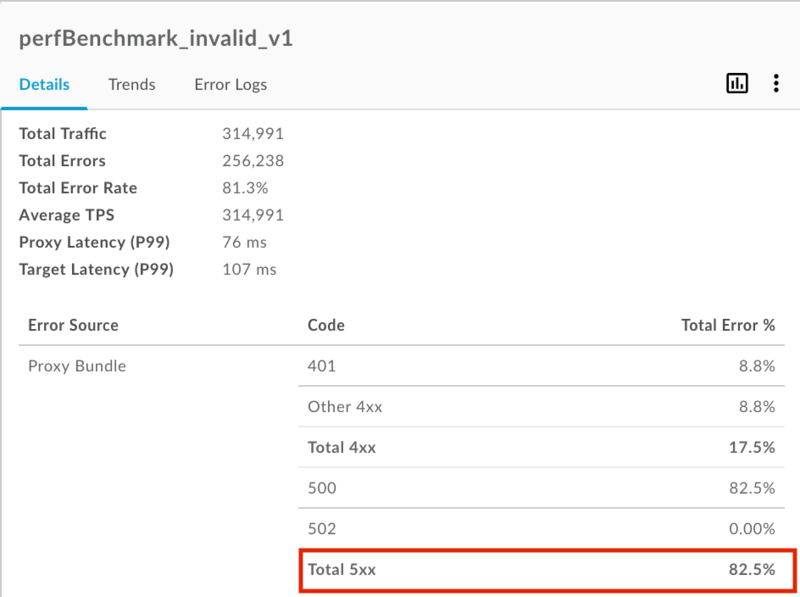 Drill down on API proxies or targets with a high error % rate. 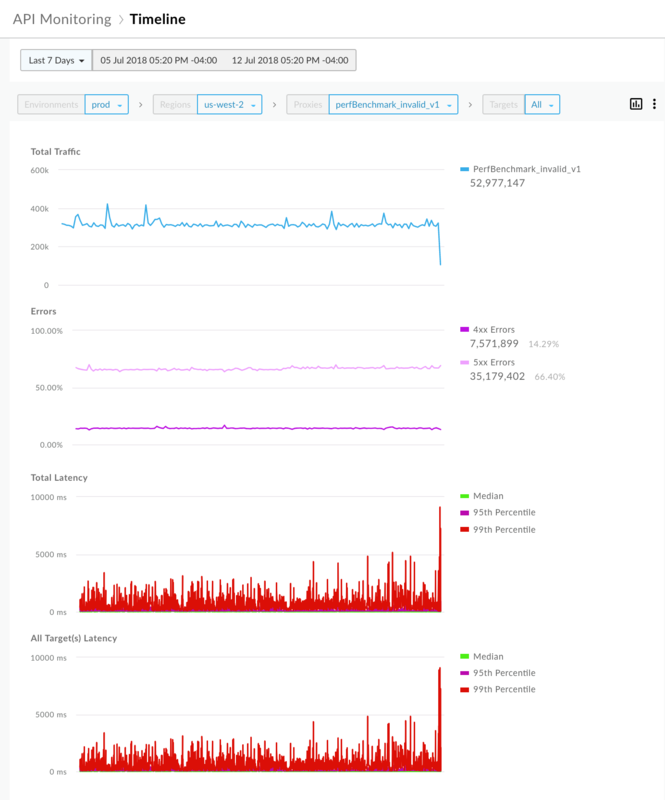 2 Identify trends in your API monitoring data Access an historical view of your API monitoring data up to the last 3 months to gain a broader perspective. 4 Set up a 5xx alert Set up an alert to be notified when the number of 5xx status codes exceeds a particular threshold. 5 Generate a custom report with client details (Optional) Optionally generate a custom report to identify details about the client that is triggering the 5xx errors. Note: You must be an organization administrator to generate a custom report. 6 Group API proxies into a collection Create a collection to group API proxies and set up appropriate alert threshold values for all members of the group to diagnose issues faster. 7 Resolve the 5xx issues Based on your investigation and diagnosis, take appropriate actions to resolve the 5xx issues. Click Recent on the API Monitoring dashboard to access the Recent dashboard. Notice the API proxies and targets that have had a high error % rate over the last hour. Note: If the API proxy does not have a value, does not apply, or cannot be determined, the dashboard will display "not set" as the origin. For more information, see Why do I see "not set" in the dashboards? Click the API proxy or target with a high error % rate to view details in the right pane. Notice the high percentage of 5xx errors in this example. For more information about this step, see Monitor recent API traffic. 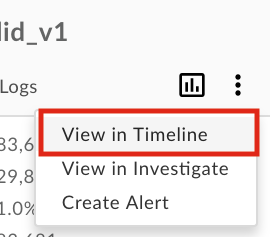 In the right pane of the Recent dashboard, select > View in Timeline to access the Timeline dashboard. Alternatively, you can click Timeline on the API Monitoring dashboard. View the trend for the API proxy or target over time. Notice that the trend has been consistent over the last 7 days. For more information about this step, see Identify trends in your API monitoring data. Apigee provides a set of fault codes that help you to diagnose issues. Typically, 5xx status codes can be classified using one or more fault codes. In the right pane of the Timeline dashboard, select > View in Investigate to access the Investigate dashboard. Alternatively, you can click Investigate on the API Monitoring dashboard. The Investigate dashboard enables you to compare relational activity between metrics, such as fault code versus time. View the fault code versus time matrix to view the fault code activity over the last hour. Notice the fault codes that are experiencing the highest relative volumes based on the color shading of a block. The darker the block, the higher the relative volume. Click the darkest block (first block) in the policies.ratelimit.SpikeArrestViolation row to view more details in the right pane. Notice that the fault source is the perfBenchmark_invalid_v1 API proxy and the HTTP Status code is 500. 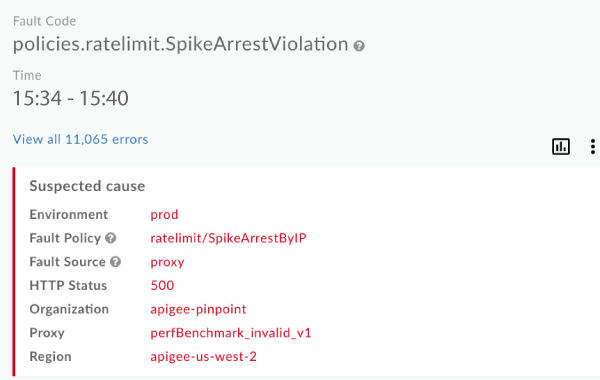 A 500 status code is a common runtime error code for Spike Arrest policy violations. View the Distribution by Developer App, just below the Suspected cause panel, to identify the developer apps with the highest error rates. For more information about this step, see Identify issues. 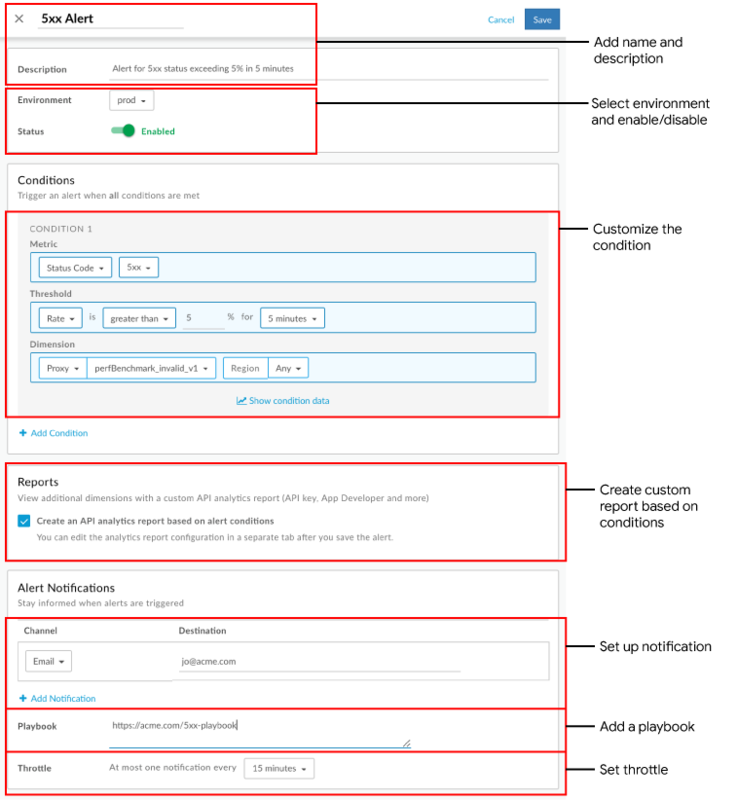 Set up an alert based on the selected context in the Investigate details pane to be notified when the number of 5xx status codes exceeds a specific threshold. 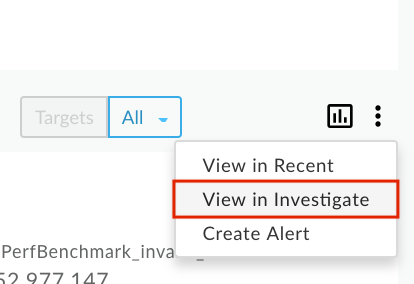 In the right pane of the Investigate dashboard, select > Create Alert. For more information about this step, see Set up alerts and notifications. Optionally, generate a custom report to identify more details about the client that is triggering the 5xx errors. On the Reports page, custom reports that are created based on an alert are named using the following format: API Monitoring Generated: alert-name. Note: In this case, remove Developer App from the list of dimensions. Run the report to view details about the developer app and clients that are triggering the 5xx status code. For more information about this step, see Create custom reports. 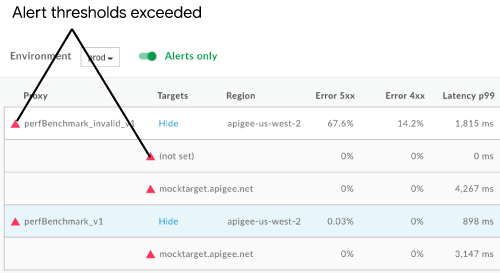 Create a collection to group API proxies and set up appropriate alert threshold values for all members of the group to diagnose issues faster. Click Collections on the API Monitoring dashboard to display the Collections dashboard. Select the prod from the environment drop-down. 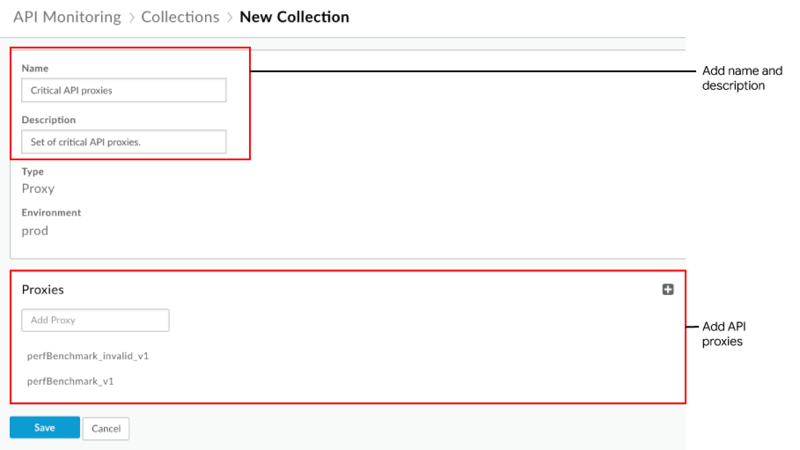 Complete the fields in the collection dialog. 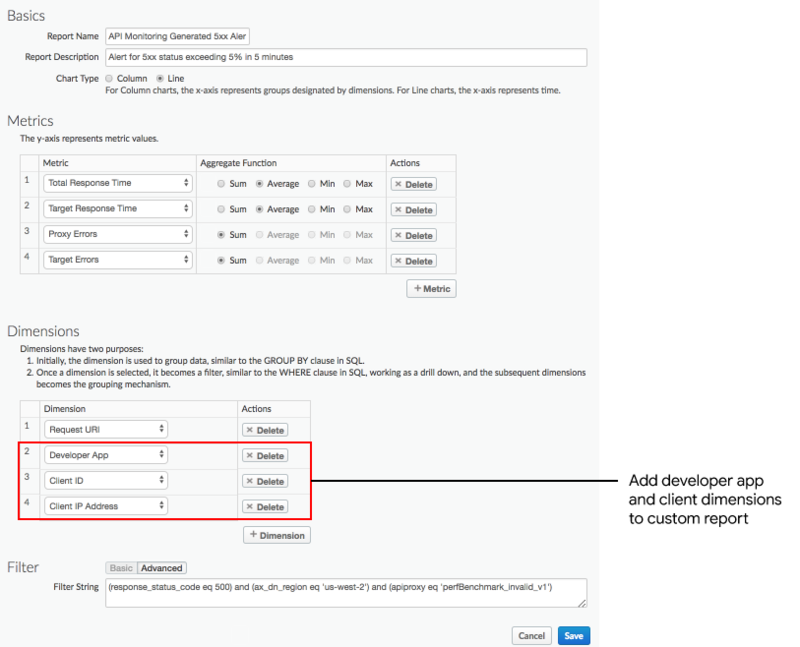 Next, you can set up an alert, similar to step 4, and set the dimension to the collection that you defined above. For more information about this step, see Manage collections. 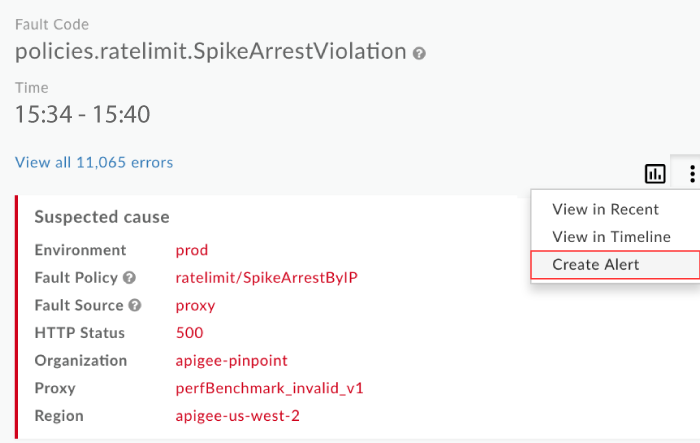 Use Apigee Sense to determine if the spike in requests is suspicious and decide you want to block the client IP address identified in the custom report. Add a quota policy to limit the number of connections developer apps can make to your API proxy over a specific period of time. Monetize your API to charge developers for usage over a certain number of calls.